Main Street, the 2017 International Barbershop Quartet Champions, recently visited Fort Dodge, IA and Main Street Fort Dodge jumped on the chance to have this group launch a new video highlighting the historic downtown district. Main Street Fort Dodge is a volunteer organization that fosters public-private partnerships, to revitalize and market Historic Downtown Fort Dodge. Main Street Fort Dodge has been active over the last few months organizing committees and projects designed to show the diversity and eclectic shopping experiences found in the historic downtown district. 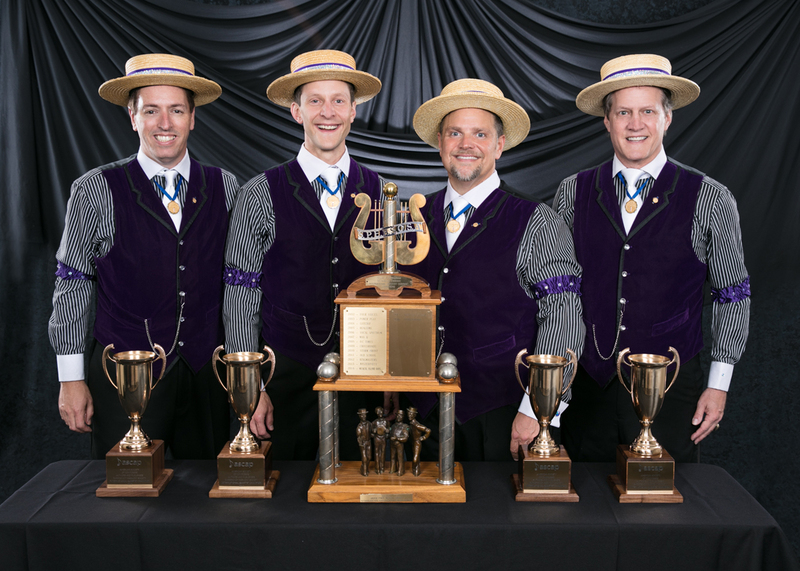 Recently “Main Street” the 2017 International Barbershop Quartet Champions visited the Fort Dodge community as a featured quartet for the annual Fort Dodge Harmony Brigade program. It was the perfect opportunity to reach out to the group to produce a video that promoted the downtown district. The members of Main Street include Roger Ross, Tenor; Tony De Rosa, Lead; Mike McGee, Baritone; and Myron Whittlesey, Bass. The group can also be seen singing at various times as the Dapper Dans of Walt Disney World in Orlando. Downtown businesses jumped on the chance to be highlighted on the video and SpIn Markket, a marketing agency located downtown, agreed to donate their time to organize and produce the video. Singing “Walking Down The Middle Of Main Street’, the Main Street Quartet takes you through a tour of the historic downtown district while visiting various businesses. Business featured included Daniel Pharmacy, Mary Kay Gifts and Home Décor, Annie’s Bridal and Dress Shoppe, Eastwood Realty, Real Deals of Fort Dodge, Olde Boston Restaurant and Pub, the Webster County Courthouse and Webster County Supervisors. The finalized video will be used to promote the historic downtown district in various marketing campaigns designed to encourage everyone to find their way downtown. Main Street Fort Dodge is a volunteer organization that fosters public-private partnerships, to revitalize and market Historic Downtown Fort Dodge. The office is located at 24 North 9th Street, Suite D in downtown Fort Dodge, IA. Additional information is available by calling 515-573-3172, at http://www.mainstreetfd.org, on Facebook and LinkedIn.